But when we’re in the thick of life – feeding the kids brekkie, sitting in peak hour traffic, listening to the latest political outrage on the radio - telling ourselves to relax is not at the top of our list of priorities. And if someone tells you to chill-out, you’re likely to bust a blood vessel! 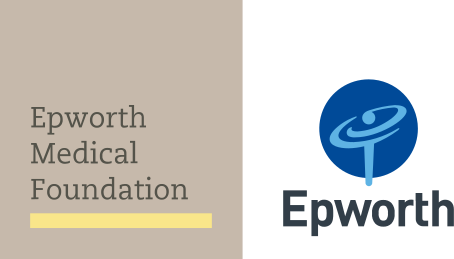 Welcome to the Epworth guide to restoration. Check out the following easy ways to grab a taste of R&R over the weekend. There’s no doubt, you’ll feel the benefits of the investment when returning to the rigours of daily life. In fact, we reckon you’ll be ready to take on the world. A wellness journey like no other. Head on down to the Peninsula Hot Springs if a good soak and some pampering floats your boat. Located on the beautiful Mornington Peninsula, this site of pure relaxation boasts 30 pools filled with natural thermal mineral waters. Go all out on your restorative expedition with massage, facials and full body mud wraps. If you feel like a gumtree fix, head to the inner city Yarra Bend walking tracks. A tried and true adventure for those of any fitness level, it’s divine. Wander down to the Studley Park Boathouse, walk along the Yarra all the way up to the Fairfield Boathouse - all in a little over an hour. You’ll forget you’re in the middle of the city as you hear the bellbirds sing and the river gurgle. Parks Victoria is your go-to for info on other walks along the mighty Yarra. Few could argue that the little town of Lorne, two hours from Melbourne, has just about the most beautiful beach in Victoria. Many a visitor has done some serious relaxing on the sand, surrounded by gumtrees descending to the shore. If you’re planning a swim, find yourself some red and yellow flags, (Thanks Life Saving Victoria!). If you have a dog to walk, you might like to venture a couple of clicks beyond Lorne to St. George River where the river meets the sea. Doggie heaven. When hunger strikes, we highly recommend sinking your teeth into a burger from Bottle of Milk Burgers. Nothing like a full stomach and a sandy towel on a sleepy afternoon. If staying- in is more your thing, why not get your knit on at Yarn and Co. in Fitzroy. Pick up a ball of super soft and colourful yarn, a pair of needles, and settle in on your couch for a day of meditative plain and purl action, nana style. Not sure where to start? Sign up for one of Yarn and Co.’s weekend workshops, designed for only six people at a time. This little adventure into the world of creating your first sock or a chunky double moss blanket will have you hooked on this wholesome way to unwind. Whether you’re on your own or taking a tribe, Victoria is full of relaxing options. So grab some bathers, a book or knitting needles and start restoring.